Getting your teenager ready for college begins early. In fact, saving for college costs should start, if possible, as soon as they born. Yet it is in the teenage years when the real preparation for college gets going. Here are some tips to help prepare your teenager for that next educational step. A good first step is to start saving as soon as possible. There are many state savings programs to invest in, and a good place to explore your financial options is your bank or credit union. Encourage your teenager to save their own money for college as it is good training for when they will be on their own and paying for at least some of the college expenses out of their own pocket. List 20 things you have enjoyed doing this last year. What sort of religious, social, scholastic, athletic events have you enjoyed? What did you enjoy about these activities? How did they challenge you? What do you need to do to continue in these same types of activities? What clubs and organizations would you like to belong to? What kind of work fascinates you? Now you can help them determine possible future employment and career paths. Be prepared with research or know where to go to help them research their types of careers. School guidance counselors are a great resource for helping your teenager prepare for both college and future career paths. Speaking of school counselors, they will be needed to help you and your teenager map out their class schedules. Preparing for college academically is a vital step. Even in middle school and junior high, your teenager needs to be taking classes that put them on the path toward college. Usually this means a lot of math, science, history and some computer classes as well as arts and music courses. As you teen hits high school, they should be well on their way to taking the needed classes to be accepted at college. Encourage your teenager to serve in the community, enjoy sports and extracurricular activities, and exceed academically. Colleges and universities look at all of these as valuable preparation for attending. With these preparation tips, you can help your teenager get ready to aim high and be able to attend the college of their choice. 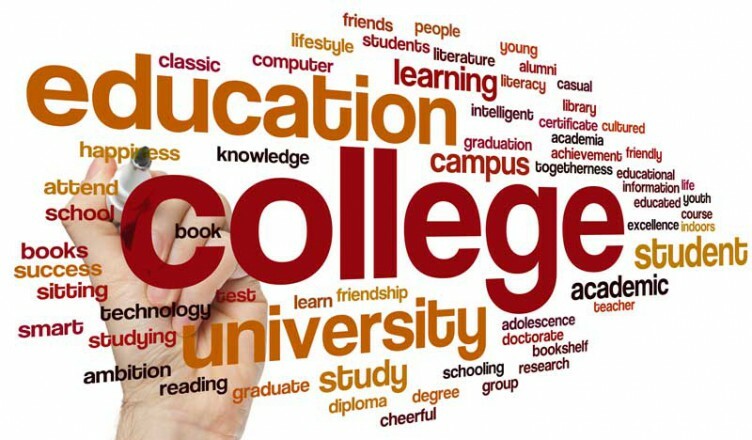 College Is Possible Preparing for College, “Guide for Parents: Ten Steps to Prepare Your Child for College,” [online]. Education.gov, “Middle and Junior High School Course Work,” and “High School Course Work Recommended for College,” [online]. “Keeping the Cost of College Down,” Excerpt from “Preparing Your Child for College,” published by the U.S. Department of Education, [online].